Are you protected against flood damage? Floods are the most common natural disaster that Washington residents face, and are a threat to life, property and public services. This year, waters in the Eastern Pacific are experiencing what promises to be the strongest El Niño recorded. While the actual effect El Niño will have on weather here in the Northwest is hard to predict, there is a potential for more precipitation. In Eastern Washington, where fires have scorched hundreds of thousands of acres, there will be an increased risk of flooding, landslides, and mudslides due to increased run-off after even moderate rains. 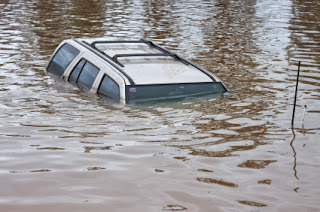 Despite that, most Washington consumers are not protected--standard homeowner’s insurance does not cover flood damage. Flood insurance is available through the National Flood Insurance Program (NFIP), and offers protection against flood hazards for homeowners, business owners, condo owners and renters. The average residential flood claim exceeds $39,000, while the average flood insurance policy premium is $700 per year. You don’t have to be in a flood hazard zone to be affected by a flood. People outside of mapped flood-risk areas file 20 percent of all flood insurance claims. See Myths and Facts about the NFIP. Another benefit of purchasing flood insurance is that a policy holder may file a claim regardless of the declaration of a disaster. Check to see if your community participates in NFIP. Typically, there is a 30-day waiting period before your flood insurance policy takes effect. Here is information on how to find an agent near you who sells flood insurance policies. The Insurance Commissioner’s website has information for consumers about floods and homeowner’s insurance, including things you should talk to your insurance agent about and tips for protecting your home and belongings. We also have tips for filing a claim after a natural disaster and how to find disaster resources. Review your policy to make sure you have enough coverage. Things like fine art, jewelry and computer equipment may have limited coverage under a standard policy. But you can buy special coverage that gives you more protection for those types of items, called a rider. Contact your insurance agent or broker to ask about supplemental policies. Catalog your home’s belongings in case you need to make an insurance claim. The National Association of Insurance Commissioners has a printable home inventory checklist or you can try free iPhone/iPad or Android apps. Have an emergency kit and a family communication plan. Know the location of your valuable papers, including insurance policy and contact information, mementos and anything you can't live without, so you can evacuate with them, if needed. Here's a list of recommended emergency supplies to keep on hand in the case of an evacuation. Don’t forget about planning for your pets. Ready.gov has tips for pet owners. Consumers can seek help with their insurance or ask insurance-related questions by calling our consumer advocates at 1-800-562-6900 or contacting us online.